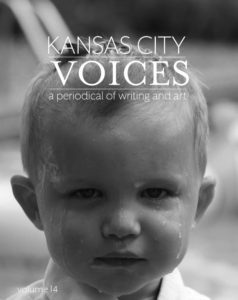 Join us at The Writers Place as we launch the latest edition of Kansas City Voices, a full-color art and literature magazine. Support local writers and artists! Win fun prizes in our raffle! Pick up your copy of Kansas City Voices Vol 14! Get extra copies to get a jump on your holiday shopping! We will also have back-issues on hand of Volumes 11, 12, and 13, in case you missed them.